The Courier Company is a 24 hour , full service, same day courier/delivery/messenger company that serves the professional business community. 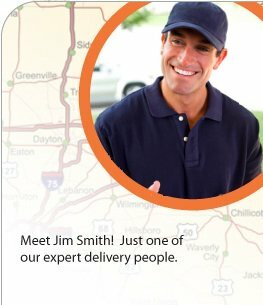 We are committed to providing the best possible delivery service to our customers at a competitive price in the greater Cincinnati, Dayton, Columbus, & Louisville metro areas. Website maintained by Paul Noia Design, Inc.